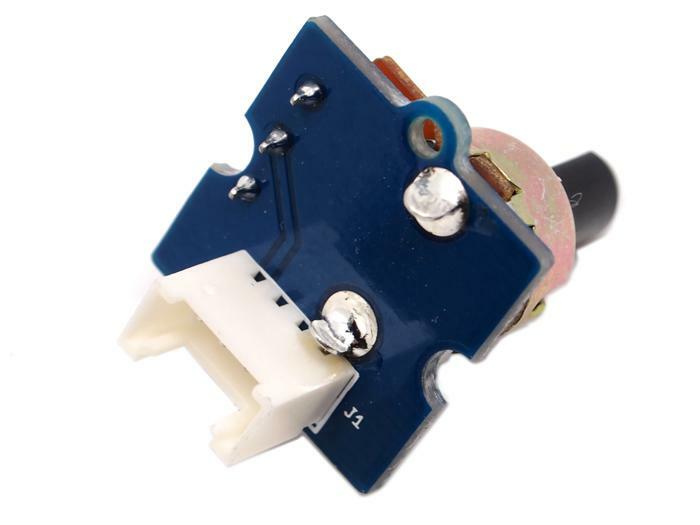 There is another product, Grove - Rotary Angle Sensor(P). What does “P” mean? 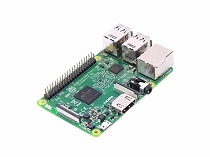 “P” is for “panel mount” in this product.It is the sister version of Grove - Rotary Angle Sensor. They are identical except the Grove connecter is moved to the back so that you can easily use it as a neat and wire-free human interface device. Step 2. 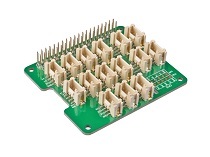 Connect Grove-Rotary Angle Sensor to A0 port of Grove-Base Shield. Step 3. Connect Grove-LED to D3 port of Grove-Base Shield. 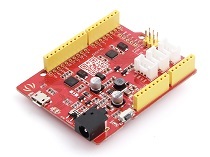 If we don't have Grove Base Shield, We also can directly connect Grove-Rotary Angle Sensor and Grove-Led to Seeeduino as below. 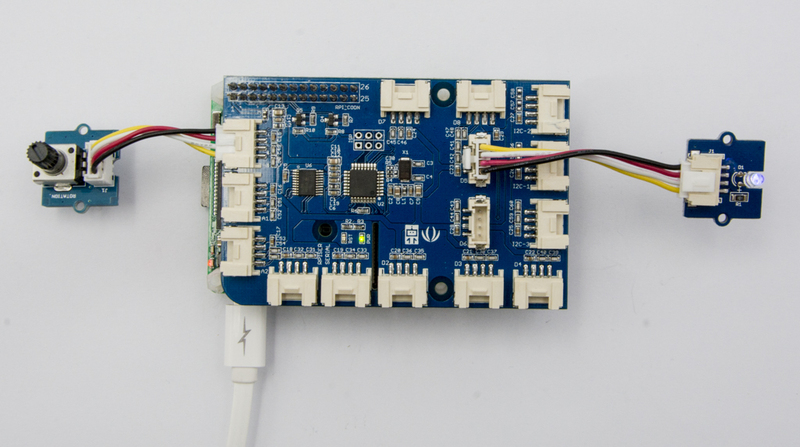 Grove-Led must be connected to PWM port. For Seeeduino, they are D3,5,6,9,10,11. Step 2. Adjust Grove-Rotary Angle Sensor and we will see the Grove-LED changes the brightness. Step 1. 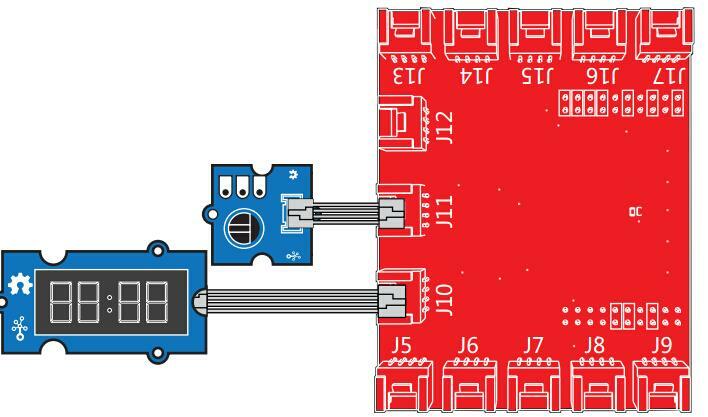 Connect a Grove - Rotary Angle Sensor to port A0, and connect a Grove - Red LED to port D3 of a Base Shield. 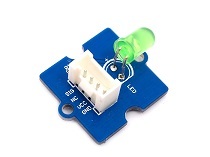 When the code finishes uploaded, the brightness of the LED will vary depending on the angle of the sensor, and the angle value displayed in the Serial Monitor. Step 3. 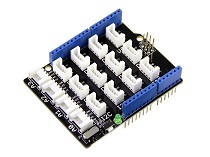 Connect the rotary sensor to port A0 of the Base Hat. 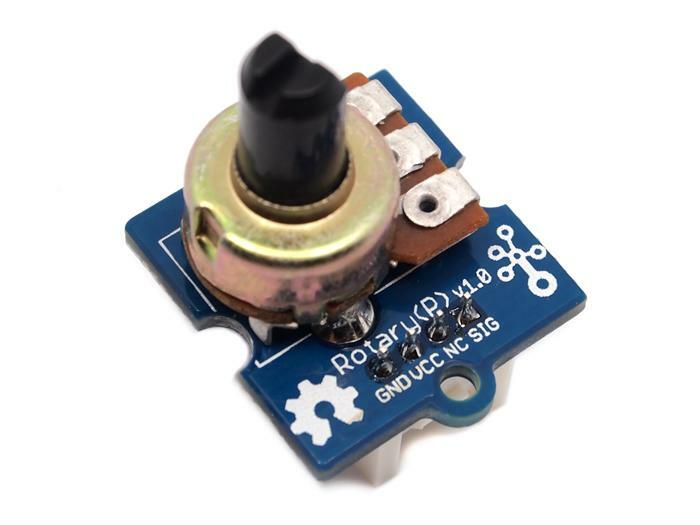 For step 3 you are able to connect the rotary angle sensor to any Analog Port but make sure you change the command with the corresponding port number. 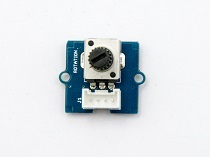 Following is the grove_rotary_angle_sensor.py code. Step 3. 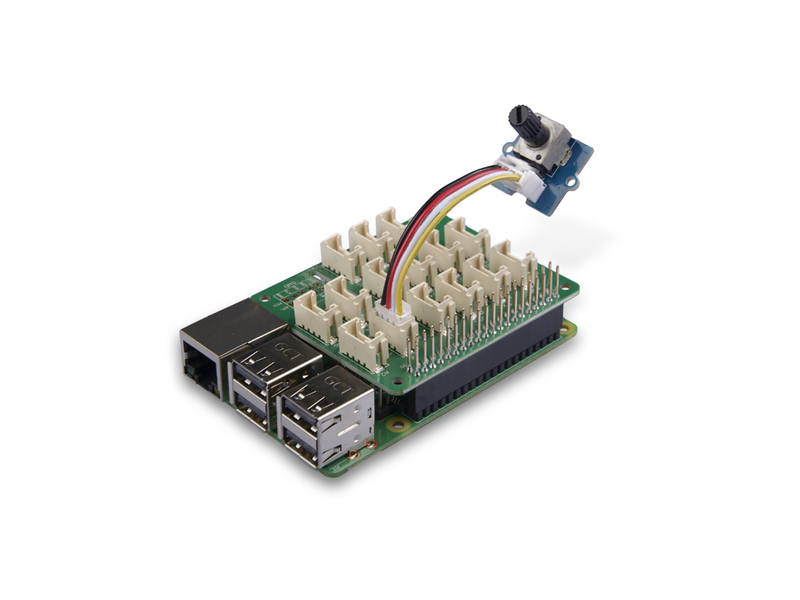 Connect Grove-Rotary Angle Sensor to A0 port of GrovePi_Plus. Step 4. 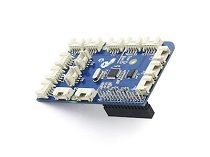 Connect Grove-LED to D5 port of GrovePi_Plus. 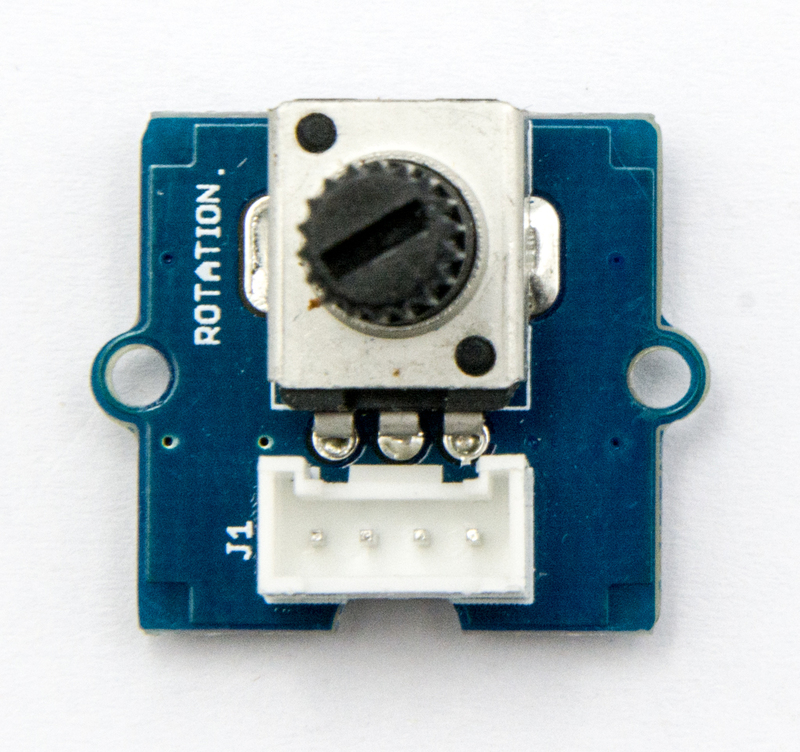 Here is the grove_rotary_angle_sensor.py code. Step 4. Adjust Grove-Rotary Angle Sensor and we will see the Grove-LED changes the brightness. This example shows how to read the analog output coming from the Grove potentiometer module. We will be combining a few Grove modules in this example! By turning the potentiometer knob, we will display the analog reading value on the Grove 4-digital display. 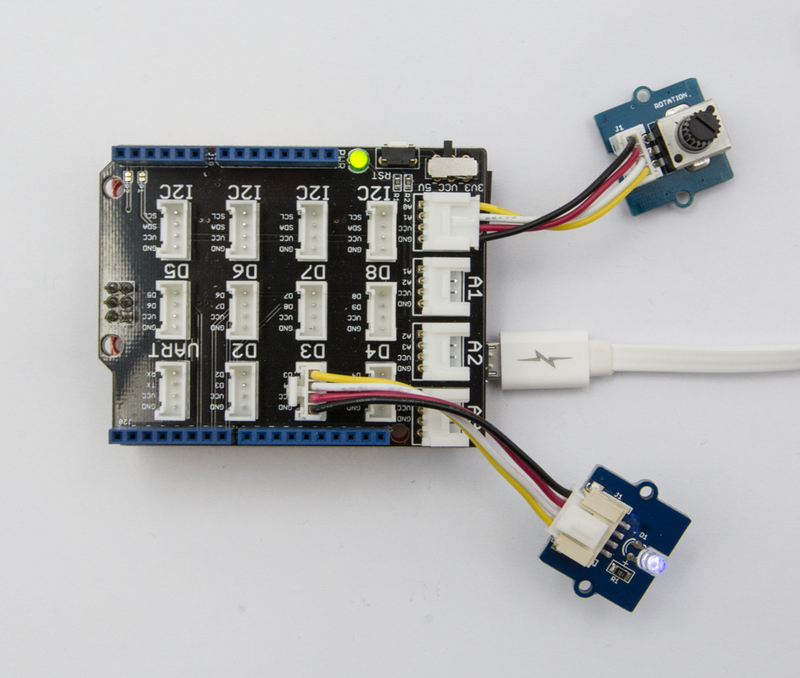 Demonstrates analog input by reading an analog sensor on J16 of the Grove Base BoosterPack. The speed of the red LED on the LaunchPad will change depending on the position of the potentiometer knob. This example will also display the analog reading value on the Grove 4-digital display. varies slightly from run to run even you don't touch it. 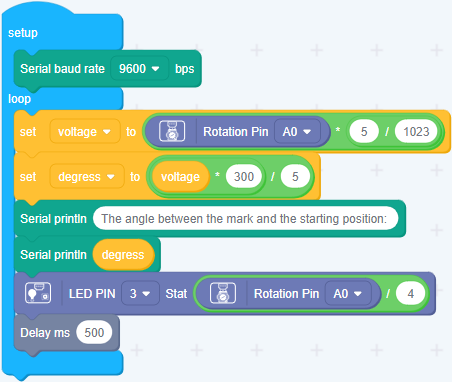 Using Grove-Rotary Angle Sensor(P) to Control Grove LED: Using Arduino/Genuino 101 to control the brightness of an LED through Grove-Rotary Angle Sensor(P).